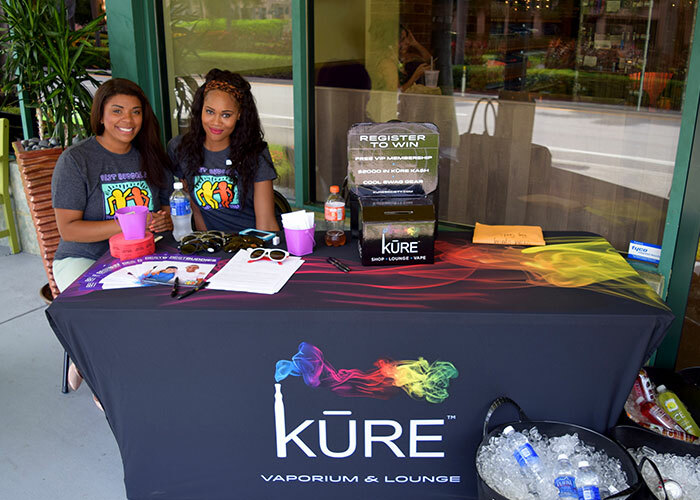 Expand your brand visibility and messaging with custom event banners, step and repeat backdrops, marketing flags and signage. Big flags to small flags, rectangle flags to tear-drop flags. 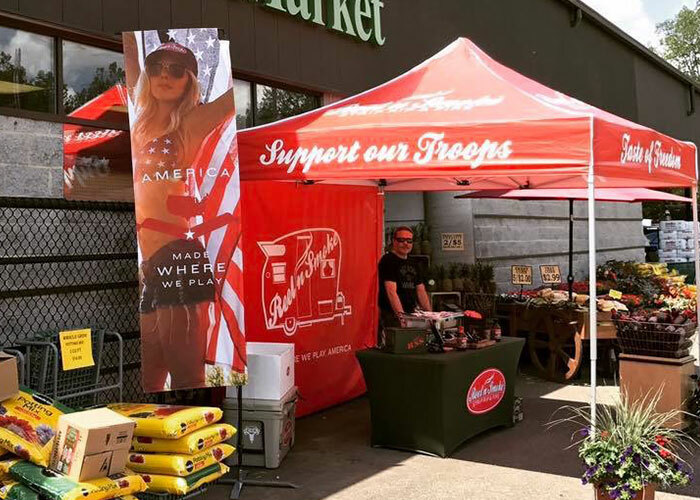 Flags that attach to the legs and/or peak of your tent—and all custom printed to match your brand and event. 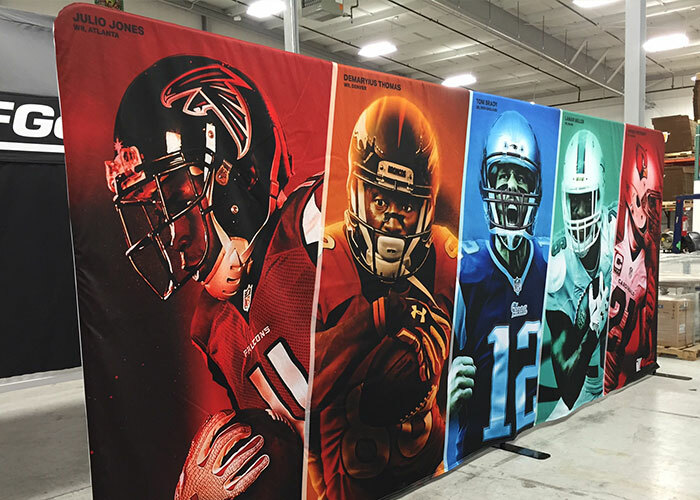 Step and repeat banners, event backdrops, custom displays—as wide and tall as you need with superior print to make sure your brand looks flawless in all of those social media posts and selfies. Fitted, stretch-fit and the classic custom table covers. 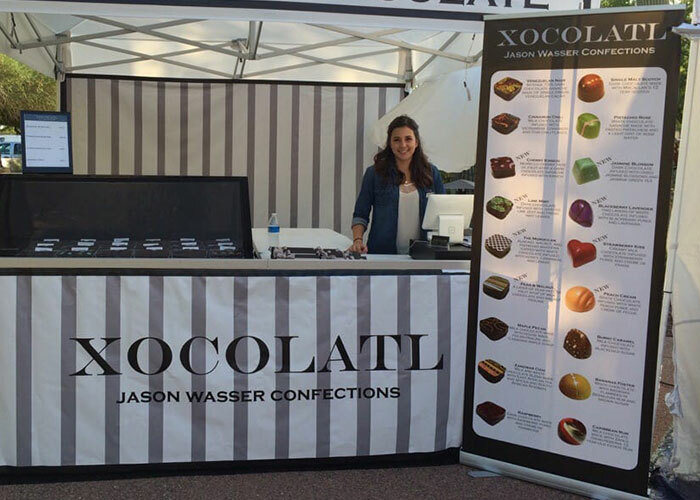 Retractable banners stands, A-Frame signage and other custom event banner solutions. 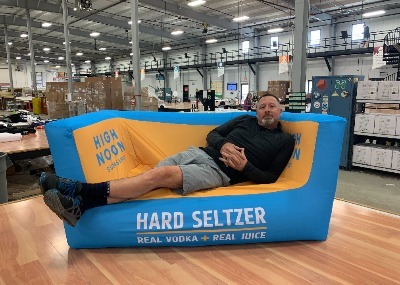 Engage with attendees and potential customers with branded inflatable chair, sofa, table or pop-up counter options all printed with your brand. Custom pop-up or inflatable podiums. Built strong for the frequent use event schedule but still low-weight for easy travel. 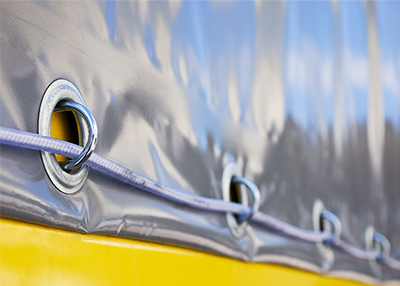 Custom made heavy-duty vinyl and polyester protective tarps made to protect your most prized resources. TentCraft is a certified National Veteran Business Development Council (NVBDC) member and proud to support its mission to highlight and advance Veteran Owned Businesses. 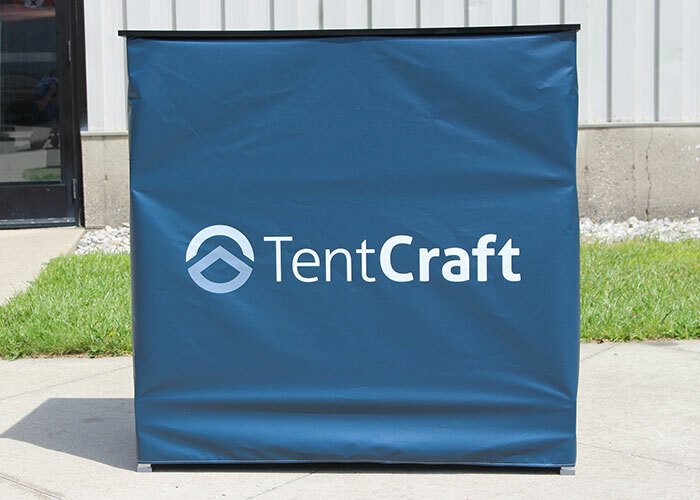 TentCraft is a premium custom pop-up tent, frame tent and tent accessory manufacturer located in Traverse City, Michigan.